I hope your hives are thriving, and your gardens are planted. Let’s talk about what is going on in your hives this time of year. There is a good nectar flow going right now, with dutch (lawn) clover, and many landscape flowers and shrubs, and the last of the fruit trees blooming. 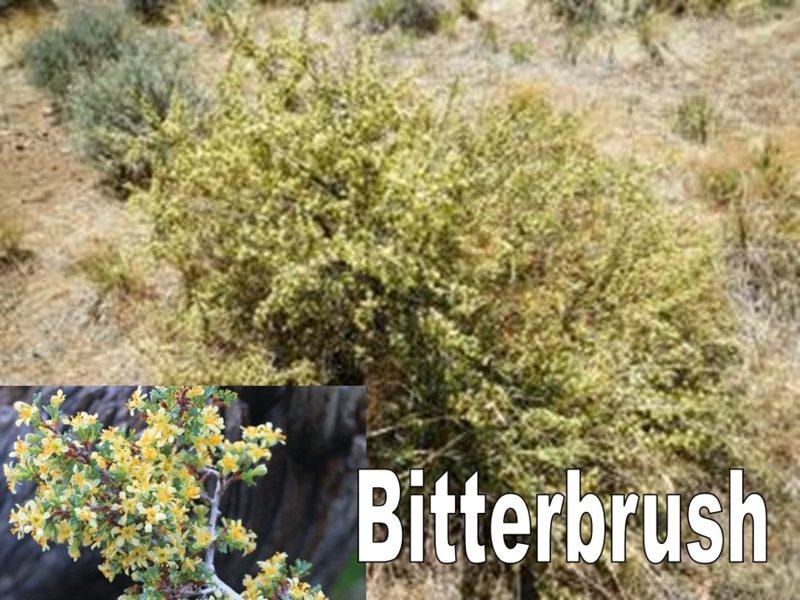 Bitter brush, or antelope brush, (Purshia tridentata) is a native plant, a bush 2 to 6 feet tall with many small yellow flowers that mainly grows in undeveloped areas of central Oregon and the high desert. It is blooming now too and is a good source of nectar and pollen. Swarming isn’t usually a concern for packages or nukes started this year, but it doesn’t hurt to be proactive by checking for queen cells and making sure your new hives have plenty of space to expand into. Adding a second hive body to your nuke or package is probably called for this month, provided the bees have occupied (covered with bees) 6-8 frames of the first box in a 10 frame hive. 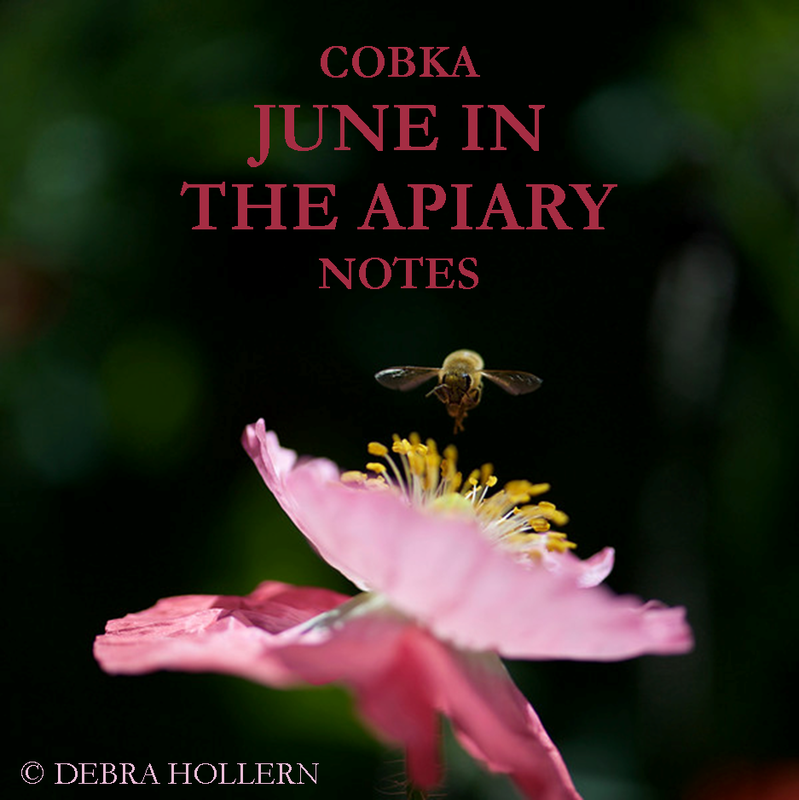 It also pays to read prior year’s “In the Apiary” columns of the same month, they all contain pertinent information. See the Archives button at the bottom of this column. If you have overwintered hives that are developing well, you may even be able to add a honey super this month. Inspection for disease is a regular part of bee keeping this month and every month. When you see a frame full of brood, check the still open cells scattered about for signs of sick brood. Disease will usually appear in the form of off color larvae, tan or brown, or soupy looking rather than bright white larvae, or an empty cell. (Empty cells are not a sign of disease by themselves.) Your queen should be laying solid sheets of brood, either oval shaped or sometimes covering almost the whole frame, with just a few empty cells here and there. If you see something suspicious and need help or have questions, contact another bee keeper or post a question on this website. Also come to our monthly meetings for the Beginners Corner, or ask a question in the general meeting. A mite count is probably called for sometime this month just to stay on top of your mite population even if you treated this spring. Yes, your bees have mites even if you don’t see them. Meanwhile, the fishing is getting better and better! So take time to enjoy the many activities available in central Oregon!